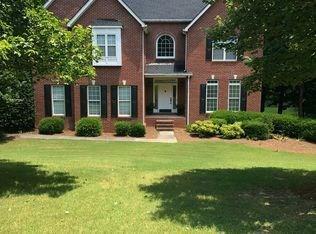 Beautifully maintained home featuring stunning 2-story foyer, hardwood floors, granite countertops, walk-in pantry, stainless steel appl, in quiet, desirable neighborhood in city of Calhoun! Gorgeous kitchen w/walk-in pantry, breakfast area open to family room, overlooking fenced backyard. Screened porch for relaxing; deck for grilling & entertaining. Over-sized master suite w/sitting area & trey ceiling. Mast bath w/ tiled shower, whirlpool tub, double vanities & large walk-in closet. Finished basement provides perfect area for mancave, along w/guest BR & full bath.